How Many Music Lessons Should You Take Per Week? When it comes to taking music lessons, it’s most common for students to take one lesson per week. While weekly lessons work perfectly fine for most, you may actually get more out of your music education by taking two music lessons per week. The increased frequency of your music lessons offers a number of benefits. Studies have shown that students who take two music lessons per week are the most successful students. They also tend to not give up. This makes sense. With increased lesson frequency, students see their teachers more often, have more short-term goals to work toward, and receive increased attention and education. Working toward these short-term goals, such as preparing a piece for their next lesson in a few days, not only focuses students, but gives them a sense of accomplishment. With increased accomplishments, students may feel better about their skills and be less likely to get frustrated with or give up their music. Students form habits over a period of just a few weeks. If you’re taking weekly lessons, then you have six days on your own to practice. During this time, it’s possible to fall into poor habits, like improper posture or misreading a rhythm. These habits can be surprisingly difficult to break, and will require extra practice and lesson time to correct. When you’re taking two lessons per week, you see your teacher more often, and they can catch these mistakes and habits earlier on. The sooner that your teacher helps to correct a mistake, the easier it is for you to make that change. When you’re preparing material for your next music lesson, having just a few days to work on it can actually motivate you to be more active in your practicing. With two lessons a week, you may see that you develop new and better practice habits. You’ll learn how to quickly practice in just a few days so that you’re prepared for each lesson. This more active practice schedule can prepare you well for college and some of the performance demands you may see if you decide to become a professional musician. Two lessons a week can also help to improve a student’s retention of the material they’re studying. When you hear the same information repeated more frequently, you can better remember it. This is particularly important when you’re studying a piece with complex rhythms, or are just learning the fingerings to a new note. While practice at home is certainly important, having your music teacher there with you can help you to better learn and retain the material. Because of the above reasons, we sometimes recommend that our students take two lessons per week. Frequent study with a music teacher can help to not only improve your progress, but also enhances the quality of your music education. In short, you get more out of your music lessons when you take them more frequently, and you’ll be able to progress and truly enjoy your music. You can enroll in two lessons per week in a number of different ways. If you’re currently taking one 60-minute lesson, you may consider taking two 30-minute lessons per week, instead. These lessons are shorter, but because they’re more frequent they can help to reinforce the techniques that you’re learning and give you a chance to check in with your teacher more often. For younger or beginning students, 30-minute lessons provide just enough study time without being overwhelming or tiring. Of course, if you want to get more out of your lessons, then enrolling in two 45-minute or 60-minute lessons per week is ideal. These longer sessions allow you to spend a bit more time working on music after you’ve warmed up. With two longer lessons per week, your teacher can delve deeper into your specific needs, and possibly incorporate more music theory and history that will help you to better understand music as a whole. Plus, if you’re preparing for an audition, this increased lesson time allows your teacher to cover more of the skills you’ll need, such as sight reading, scale studies, and your audition pieces. 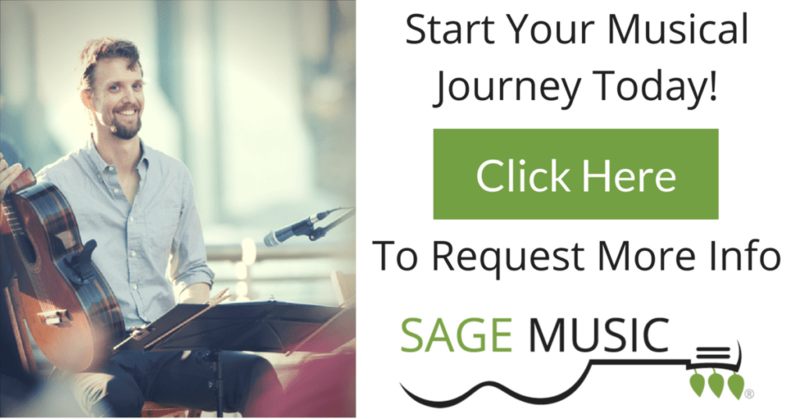 At Sage Music, we’re happy to work out a schedule that suits you best. If you’d like to increase your music lesson frequency, talk with your music teacher about what schedule will help you to get the most out of your music education.